Nail fungus, medically known as Onychomycosis, is an increasingly common disorder, accounting for 20% of all nail disorders. It occurs almost exclusively in adults over the age of 70. Therefore the risk increases with age and through underlying nail disease. Onychomycosis is an infection of the nails caused by a fungus and is commonly referred to as fungal nail infection. 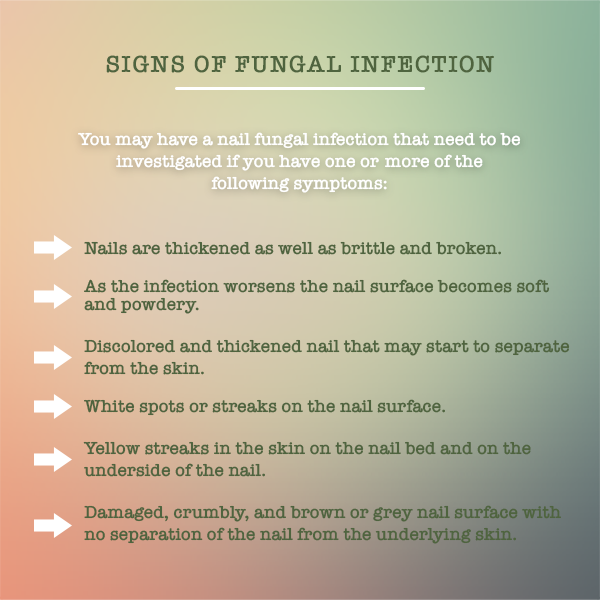 Symptoms of the infection will vary depending on the type of fungus involved, but thickened nails and yellow discoloration are common. Most fungal nail infections are caused by a group of troublesome fungi called “dermatophytes”. These fungi live in the layer of dead skin around your nails, in the space under your nail, and in the nail itself. As our toenails can be conveniently hidden in shoes and socks, the early symptoms of nail fungus will often be ignored. Unfortunately, nail fungus is a chronic condition that requires a specific treatment to target and kill the fungal infection. Do nothing, and it will only spread from toe to toe and get worse. Once the infection gets into the base of the nail it is much more difficult to clear. Therapies like laser treatments allow us to treat nail fungus symptoms locally without the side effects of oral medications. Nearly all infectious agents can be killed by heat. This makes laser therapy an extremely promising option for anyone suffering from a fungal infection of the nails. Our 1064 laser light is used to treat the fungi. The heat kills or damages the fungal organism resulting in normal nail growth. Depending on the severity of the infection, it may take six or more treatments, spaced one month apart to see clear results.